Jaleel Holdings, UAE-based leading investment company, announced its strategic partnership with niche Cloud Services provider, Business Integrated Operating Systems (BIOS) ME to manage the business-critical IT systems of the region's trading major. 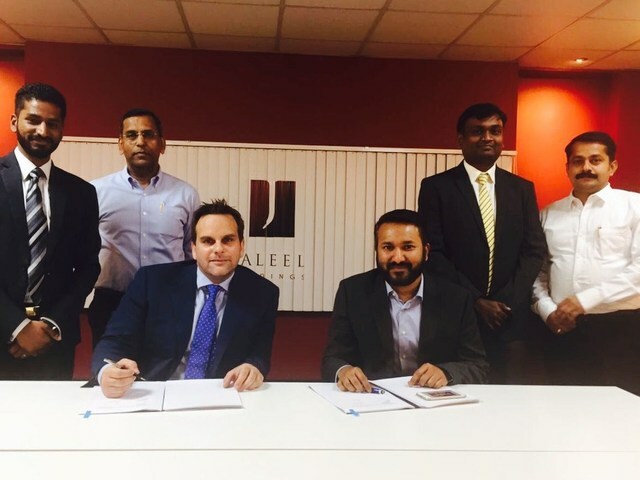 This makes Jaleel Holdings the first wholesale player in the UAE to embrace cloud technology solutions in the sector. BIOS will provide state-of-the-art computing power and easily scalable architecture to protect Jaleel Holdings' systems with advanced security solutions. BIOS, with its 24x7 security operations center (SOC) services, will ensure that Jaleel Holding's systems are always protected and secured from the most advanced and sophisticated threats. Headquartered in Dubai, Jaleel Holdings today is one of the leading players in the region's wholesale sector with an extensive presence in the UAE and representing many leading FMCG brands from around the world. BIOS is the region's only Cisco-powered cloud solutions provider and utilizes the latest of Cisco UCS blades with software defined networking of ACI with VMware and Netapp to deliver the most advanced cloud platform in the Middle East. 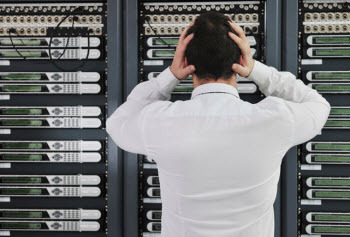 Does Your Business Have An Effective Disaster Recovery Plan? Modern businesses are dependent on technology for successfully carrying out client orders and progressing in the industry. Staying competitive in an oversaturated market is a difficult task that depends not only on the marketing strategies of the organization but also on the overall business preparedness for eventual economic, governmental, cultural, and environmental changes that may affect the business continuity (BC). Businesses that try to take advantage of technology innovations have a wide range of opportunities for development, yet, their growth is closely related to the IT platforms it relies on. The importance of having an efficient organization and a trustworthy IT personnel in place is especially evident in the case of a security breach and an unexpected disaster. Disaster recovery (DR) is not easy. It’s critical to protecting your organization’s most precious assets, though typically under-funded and under-appreciated. Now that always-on business is the new normal, any form of downtime can be detrimental to the livelihood of your organization. Having a strategic plan in place is paramount. 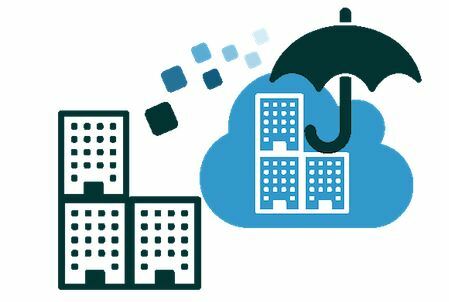 Could you improve up time and cost with cloud-based disaster recovery? Cloud-based disaster recovery gets you back to business as usual: faster. Create and implement the most effective DR strategy for your organization with the help of CloudHPT’s Disaster Recovery in the cloud checklist. This helpful guide will help you set your DR plan in motion with a comprehensive checklist and detailed information to follow during each step. CloudHPT provides cloud services in MENA and is based in the UAE. This quick Guide to Disaster Recovery in the Cloud will help you be prepared for anything by checking your way through each stage of the planning process, from initial inventory of applications to seasonal testing of your chosen solution. Applications List: It’s true that you can’t protect your applications if you don’t know where each application is and what its core responsibilities are. A quick export and sort of your VM list from VMware vSphere is a simple start, but a more long-term solution should be put into place. Risk Assessment/Business Impact: Once your applications are inventoried, it’s helpful to perform a risk assessment and business impact analysis for each application in the company. 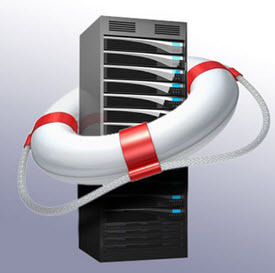 It’s important to make sure that your Disaster Recovery plan protects what is most important to the business. Ideal RTO/RPO: It’s not just about the critical importance of an application (determined in the step before), but also the time-criticality of each application. Consider how many and how often the application processes transactions and new data, as well as how soon the application would need to be up and running after a disruption. Disaster Recovery/Backup Budgets: Each application will have minimum RTO and RPOs; however, budget constraints will most likely only allow certain applications to reach those minimums. A combination of the budget and prioritization list will help you sort which applications need to be addressed first and which can wait a little longer. Recovery Destination: The site to which you recover is dependent on the type of technology you decide to user to protect and recover your application. Cloud-based DR users can see the replication working, click and test their solution at any time and they have the backing of a service provider in case things get tricky. 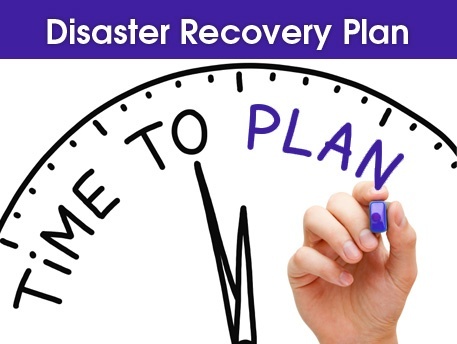 For a full comprehensive checklist, download the full guide, Quick Guide to Cloud-Based Disaster Recovery planning here. If you would like to know more about DRaaS in the Middle East or how our other cloud services in the middle east can help your company drive down costs and increase business agility, just contact us now. For the longest time, disaster recovery for firms in the UAE was a rich man’s game. 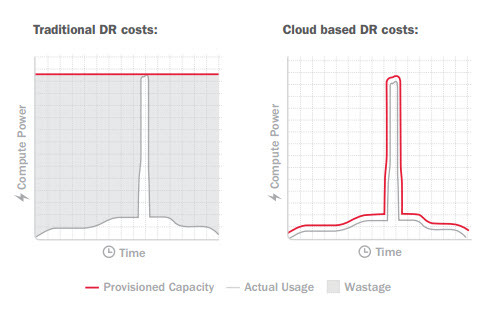 Until recently, the costs of effectively protecting against disruption (caused by extreme weather, power outages, hardware failure, and connectivity issues or otherwise) have been prohibitively expensive for all but the largest organizations. This is because traditional disaster recovery solutions required a 1:1 reproduction of the live environment (running continuously in parallel) to provide effective failover. For large environments, the costs of ownership easily run in to the hundreds of thousands of dollars per year. But that was then, this is now. Cloudhpt offers Disaster Recovery as a Service (DRaaS) in the UAE for all the Middle East. It might already be a cliché, but cloud computing in MENA, really has changed everything – particularly for DR with DRaaS. The advent of cloud services in the UAE & Middle East has not only made Disaster Recovery & DRaaS services more affordable, it’s radically improved their quality. 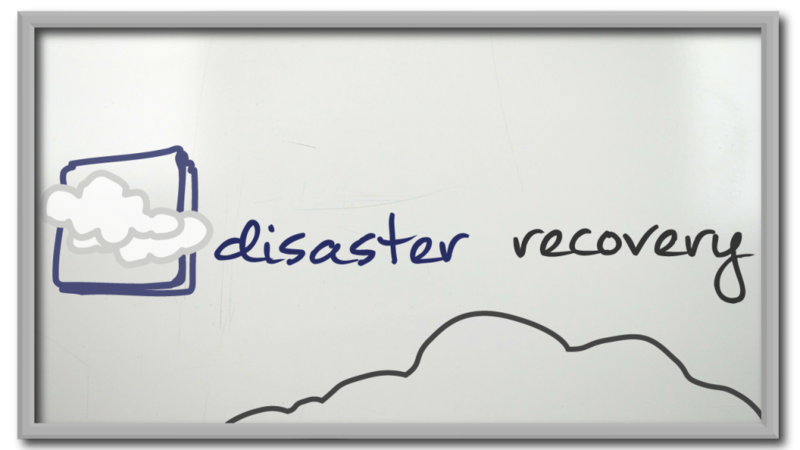 Why is Cloud Based Disaster Recovery becoming so Popular?. 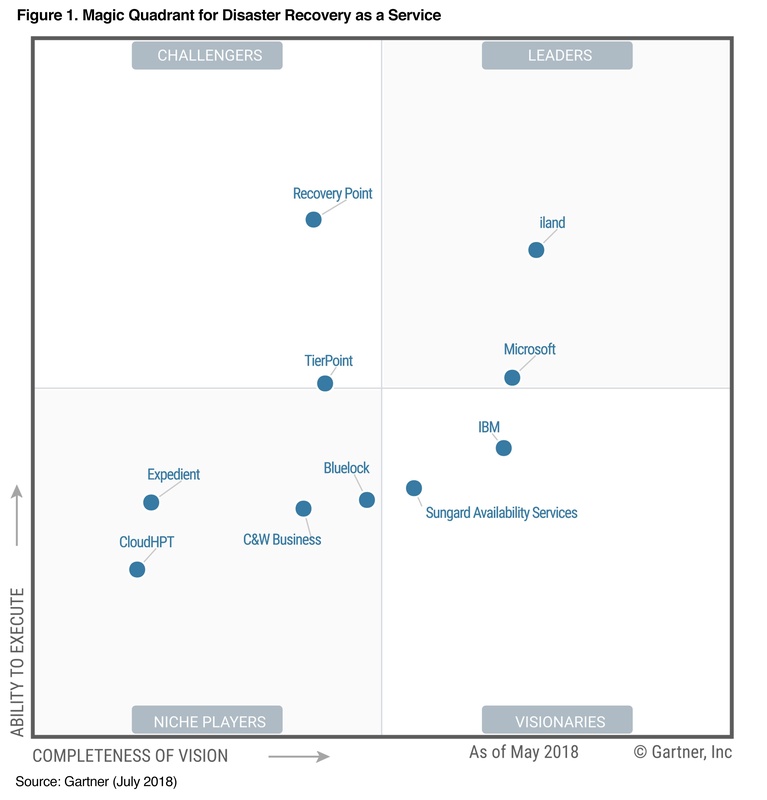 To many, cloud has seemed an ideal fit for DR since it was first conceived and cloud-based Disaster Recovery-as-a-Service has also been the hot topic recently. Part of the reason talk of DRaaS has amped up lately is not only due to the increase of disasters, but also due to the increased reliance on cloud and technology to achieve their business objectives and overall success. The more reliant the business becomes on technology, the more critical the need to recover those applications and infrastructures in a disaster occurs. Disaster recovery isn’t new by any means, but Cloud-based Disaster Recovery-as-a-Service (RaaS) is hitting a maturation point in the marketplace to become the most cost-effective, reliable, efficient solution available to any virtualized business. DRaaS is a holistic approach to DR that is testable, trusted and flexible with a low barrier to entry. If you’re evaluating DR options, DRaaS should be known as the solution that protects your entire application, not just your virtual machine or the data within the solution.